RED HOOK — After only a few days in Red Hook, Hulda Ros Gudnadottir has already found similarities between the waterfront neighborhood and her hometown in Iceland. Exploring fishing towns from Morocco to Reykjavik, Gudnadottir's travels have brought her to Brooklyn, where she is wandering Red Hook for her new project “Keep Frozen,” based on her own memories of growing up beside the water. But the history of waterfront areas, including Red Hook’s, seems stable compared to its future, Gudnadottir said. Just as the neighborhood faced the wrath of Sandy, Gudnadottir said the waterfront in Reykjavik has been eroding over the years as nature takes its toll. 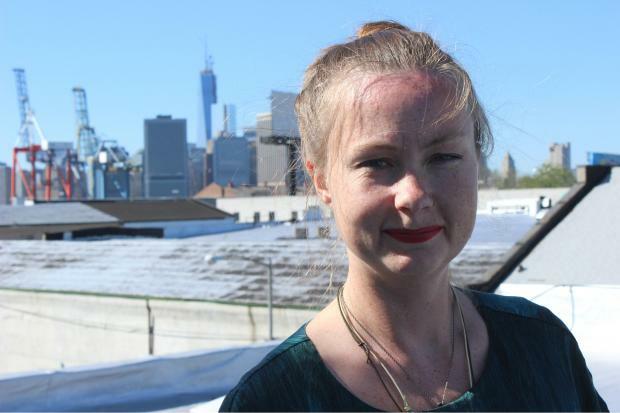 Gudnadottir will talk about her work on the waterfront on June 6 at the Waterfront Museum at 290 Conover St., along with a screening of “The Cornershop,” her documentary about community values that she believes will be apt for Red Hook. The artist will also present an exhibition of sculptures, videos and mixed media on June 8 at “DE-CONSTRUKT [projeckts],” a new mobile art space at 41 Seabring St. The project space, launched in April, serves local and international artists looking to work and collaborate in New York, said Laura Arena, director of DE-CONSTRUKT. Arena, who formerly owned Lucky Gallery at 176 Richards St., wanted to appeal to the less art-centric side of Red Hook through “non-traditional” events like music shows and original installations, she said. “I wanted to contribute some sort of cultural experience here,” said Arena, who believes Gudnadottir’s work will be particularly relevant for the community. For more information on the events, visit this website.